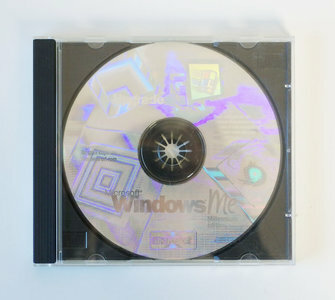 Microsoft Windows ME Upgrade Dutch on CD-ROM with product key. Authentic Microsoft Windows ME Upgrade. Windows Millennium Edition is a graphical operating system developed by Microsoft as part of its Windows 9x family of operating systems. It is the successor to Windows 98 and became available in September 2000. The last operating system released in the Windows 9x series, Windows ME was targeted specifically at home PC users and includes among others Internet Explorer 5.5 and Windows Media Player. Microsoft also updated the graphical user interface, shell features and Windows Explorer. Windows ME was a continuation of the Windows 9x model and still DOS-based like its predecessors, but with restricted access to real mode MS-DOS in order to decrease system boot time.